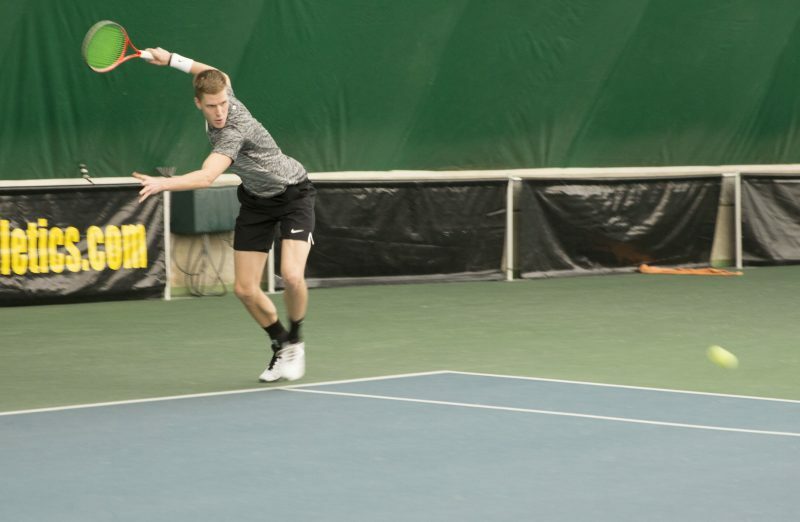 As the Black and Gold tennis squads prepare to kick off their 2019 schedules, the teams look to improve on their 2017-18 seasons. The men’s lineup recorded a solid 16-10 record last season, going undefeated in the conference and 11-5 at home. The women’s roster put up an impressive 17-6 ratio, recording a 10-3 regional figure without a conference loss. Men’s coach Anthony Rossi remains confident in the team’s potential for the upcoming season, retaining much of the same roster. The team’s offseason has involved working on chemistry and on-court presence. Two players — Vitor Lima and Karl Katlaps — departed the team in the offseason, leaving the Rams with only six players. However, these six were among the best of the 2017-18 season. The team will play 21 opponents in the 2019 regular season, including in-state rivals such as Richmond, James Madison and Virginia Tech, while also traveling throughout the region to face universities including nationally-ranked Ohio State, Temple and Florida Gulf Coast. The team was 37-43 in doubles in the 2017-18 season. Women’s Tennis also begins in January, with Gabriela Araujo the only departure from last year’s roster. All seven of the other members will return, including sophomores Marina Alcaide Bakkari and Paola Expósito Díaz-Delgado. The two Spanish players combined for a 34-21 set record in 2018, contributing to the team’s 100-70 overall statline. Expósito had the longest streak with four match wins, and had the top duals record at 16-5. Bakkari and sophomore Sofia Sualehe look to further their 11-4 doubles record from last year. The women’s team will also take on a number of the same opponents as the men’s team such as William & Mary, Liberty and Old Dominion. Other teams include Marshall, Penn State and West Virginia, while the lady Rams will defend 2018 victories against Elon and Campbell. Drexel arrives in Richmond for the Men’s opener Jan. 18 and the Women’s the following day.